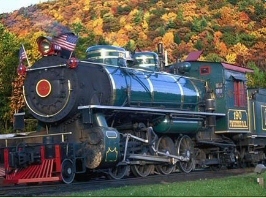 Take a fun filled ride on a Historic Steam Locomotive, be the cowboy, Indian or train engineer. 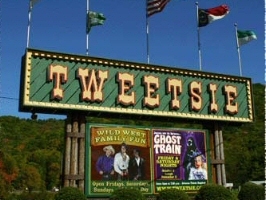 Have a blast at the thrilling rides at the amusement park, including, free fall, tornado, round-up, carousel, boat rides and many more! 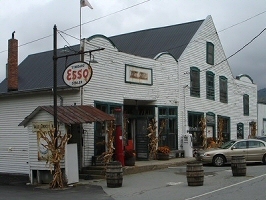 The Mast General Store is as close as you can get to an olde fashioned General Store. 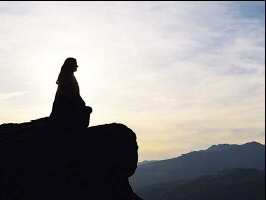 It is located in historic Valley Crucis. 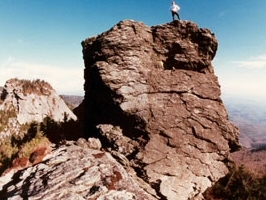 Grandfather Mountain is the highest peak in the Blue Ridge range, and is a renowned nature preserve. Enjoy walking across the mile high swinging bridge. The 228-foot suspension bridge spans an 80-foot chasm at more than one mile in elevation! 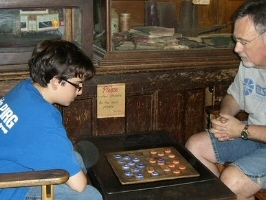 Visit the Bears and Bear Cubs up close check out the wildlife habitats, browse the many environmental habitats and museum exhibits. Also, there are nature trails in the park, and tons of hiking trails at all levels of difficulty once you enter the Grandfather Mountain Backcountry. 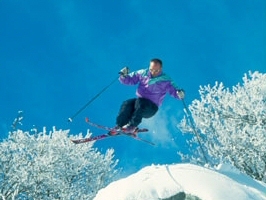 With 4 top notch ski/snow destinations within 30 minutes of Bearfoot Hideaway, your ski or snow vacation will be a fantastic experience in the High Country of North Carolina. 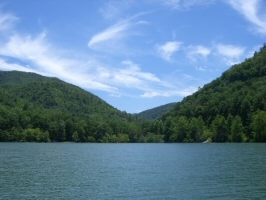 One of the most spectacularly beautiful lakes and mountain views in Eastern Tennessee. 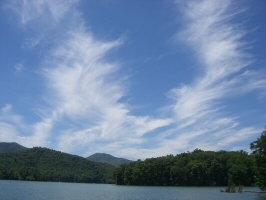 Boating, Fishing, Canoeing, Kayaking, Waterskiing, Parasailing and so much more are some of the activities you can enjoy on Watauga Lake. 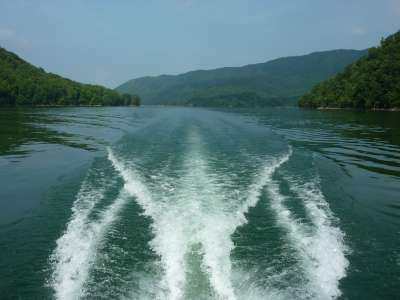 We love to rent pontoon boats from Fish Springs Marina, located right on the lake. 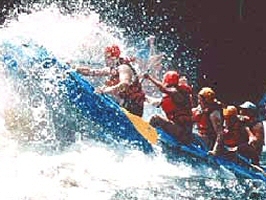 Folks of all ages enjoy the Whitewater Rafting experience in the high country on the Nolichucky River, The French Broad or the Watauga River. The Nolichucky River lies at the bottom of one of the deepest gorges in the east! The French Broad provides some great picturesque scenery of the mountains. 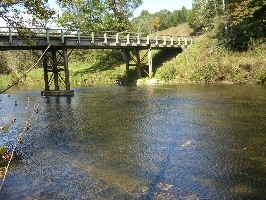 The Watauga River is popular for families with younger children with its milder rapids and beautiful pastoral scenery. The Blue Ridge Parkway is more than a road – it is a beautiful journey that entices visitors to explore a 469-mile gateway to America’s rich cultural heritage. 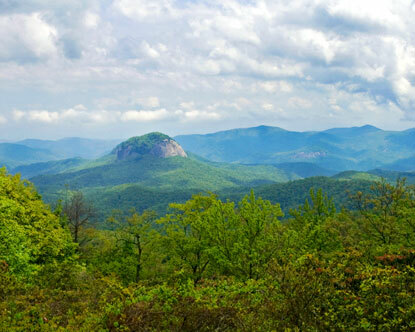 Our favorite hiking trails are located along the Blue Ridge Parkway. Look for Green Knob, Boone Fork, Linville Falls and Prce Lake for some easy-to-find and fun-to-hike locations. 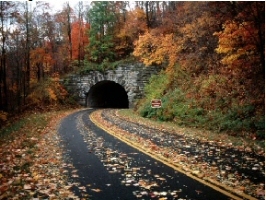 Two routes, the Southern Loop and the Northern Loop offer beautiful routes and hidden scenery of the Boone area by drives through Avery, Ashe, and Watauga Counties. 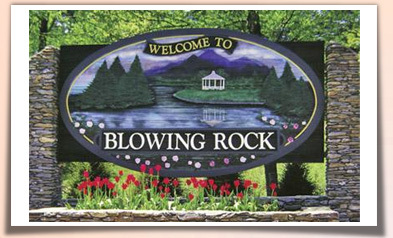 These routes may be driven separately or you can make an entire day of it by passing through Todd, N.C on the beautiful, 26 mile long, NC-194 "Scenic Byway". The Northern Loop, from West Jefferson through Warrensville is 34 miles and takes about 1 hour to drive. Estimates on driving times don't include stops (and you'll want to make many!). Route guides include details about major landmarks and turning points encountered for each drive. Our very own river, steps from the cabin, is the second oldest river in the world! A serene tubing or kayaking trip down The New River will offer a great view of gorgeous scenery and even views of hummingbirds and butterflies on the wildflowers along the river bank. We have even grabbed some peaches from the orchards overhanging the river run. 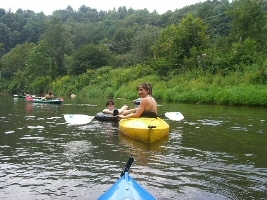 If you do not have your own kayaks and tubes, then you can rent them at a reasonable rate. 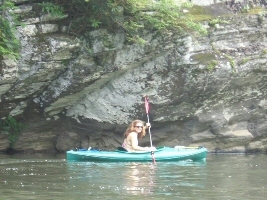 Check out River Girl for great tubing, fishing and kayaking adventures. Planning on cutting your own Christmas Tree? 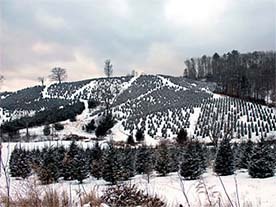 Check out this guide to Watauga Christmas Tree Farms.